Well… from what I understand, unless you live in Cali, it’s not completely free considering you’d have to pay to fly out there. 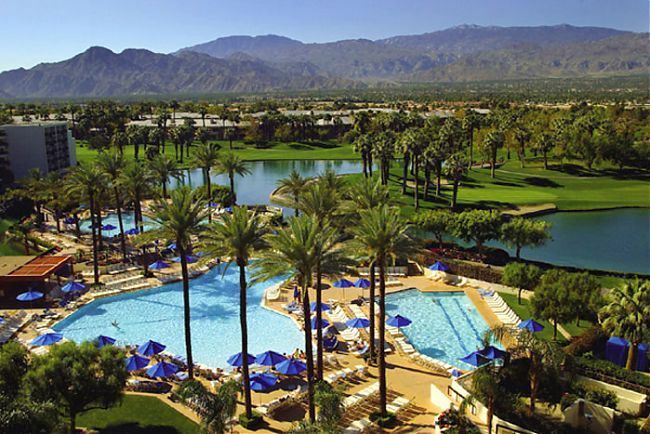 The Desert Springs JW Marriott Resort and Spa, located in Palm Desert, California is doing a “Tweet to Retreat” Twitter promotion throughout October 2009. To join in on the action, simply follow the hotel on Twitter @DesertSprings, and keep an eye out for the questions––which will begin October 1st and continue throughout the month. Followers will have their knowledge of Desert Springs tested with questions ranging from the ingredients in the Angel Kiss cocktail at Oasis Bar & Grille (hint, hint), to the number of rooms at the hotel. One question will be posted each weekday through October 30th. (tweet your answer in this format: @DesertSprings answer #tweettoretreat) The first person to respond with the correct answer each day will be entered into a drawing for the ultra-luxe prize. The winner will be notified on November 2, 2009. I suggest visiting their site by clicking here and reading up on the resort. That’s what I did. This entry was posted on Thursday, October 1st, 2009 at 9:49 am	and is filed under TRIPPIN'. You can follow any responses to this entry through the RSS 2.0 feed. Both comments and pings are currently closed.